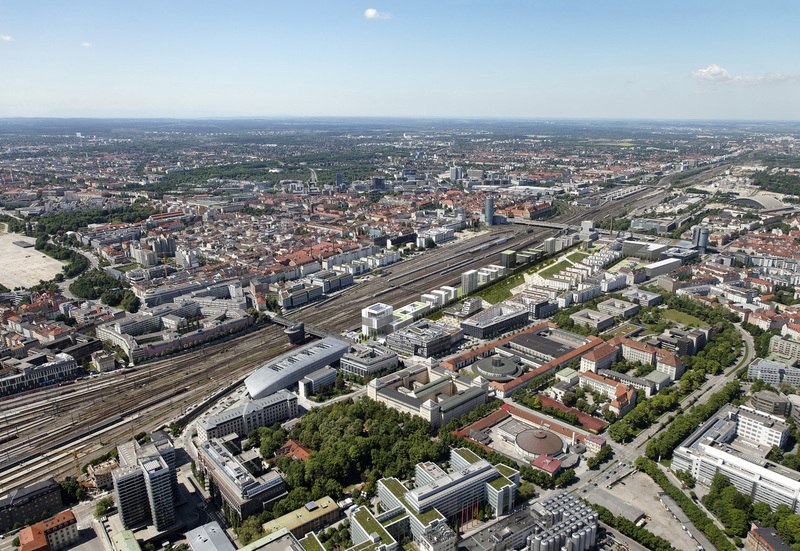 Munich’s Arnulfpark® is the first urban district in Germany to be marketed and completed in full by CA Immo. A new city quarter close to the Munich’s main station is thus emerging. It comprises around 1,100 apartments and will create a working environment for around 4,300 people; it is also providing various utilities and social and cultural facilities together with convenient access to the main public transport links. Modern architecture, environmental construction methods and an infrastructure that encourages communication will create a place of well-being for those who live and work in Arnulfpark®. VELUM, which accommodates the Munich office of CA Immo Deutschland, was the first office and residential building to be built in Arnulfpark®. The international pharmaceuticals concern Bristol Myers Squibb (BMS) has set up its German headquarters in the ATMOS office building, which was realised by CA Immo. Certified by the German Sustainable Building Council, ATMOS offers its tenants an environmentally and economically viable working environment. Meanwhile the SKYGARDEN office building was awarded LEED certification in gold from the U.S. Green Building Council. The building’s biggest tenant is the management consulting and auditing company PwC. The other construction sites of Arnulfpark® were fully marketed by 2009. The final element in Arnulfpark® was the Kontorhaus building, realised by CA Immo with approximate gross floor space of 30,200 sqm. Google and Salesforce are the main tenant of the building, which was completed in 2015. From the outset, Arnulfpark® was designed and realised with future generations in mind. Even at the site preparation stage, maximum attention was paid to issues such as biodiversity, species protection and (where relevant) habitat change. 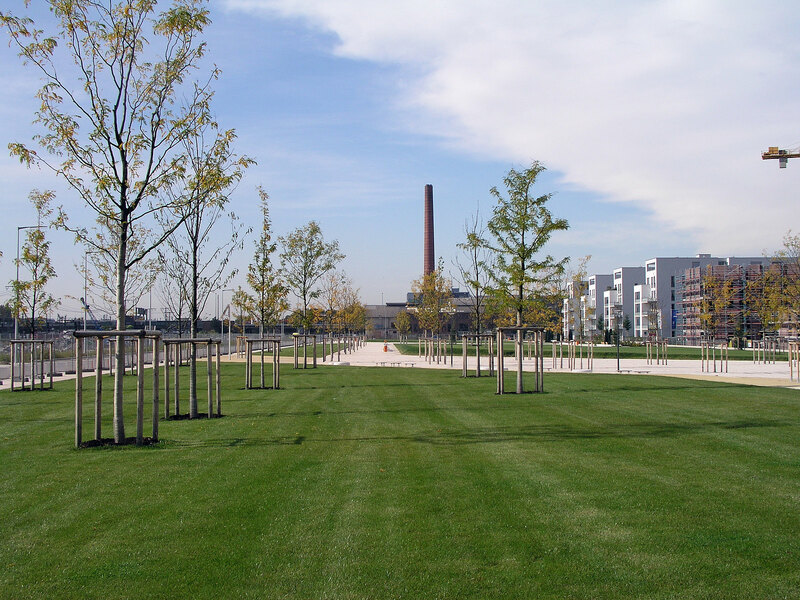 With around 400 trees planted in the district to date, Arnulfpark® is not called a park for nothing; in fact, a spacious park now forms the main gathering place for the district. All buildings constructed by CA Immo comply with the most stringent sustainability standards. Amongst other things, alternative energy systems, innovative and health-promoting ventilation systems, heat and cold accumulators via geothermal probe and solar energy concepts ensure a positive life cycle assessment. Do you have any questions, or need more information on Arnulfpark® in Munich? Simply contact us!